We’re excited to reveal the top 10 most influential people in TNQ for 2017. 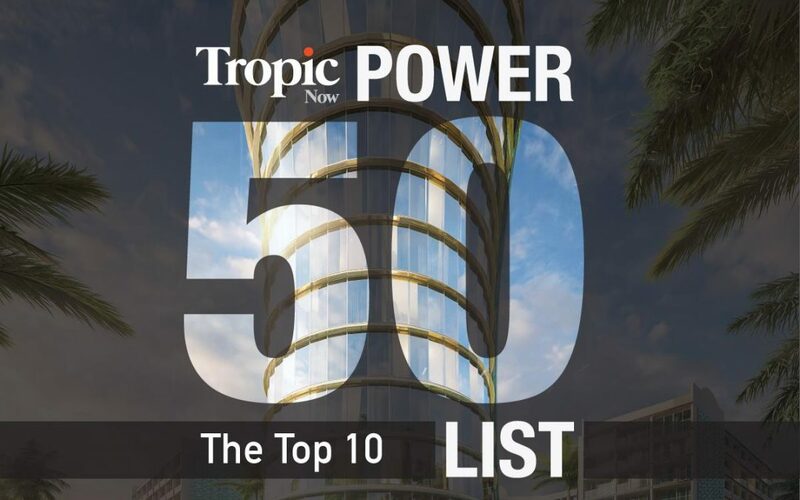 There are some big surprises in this final section of both our TropicNow Power 50 List and The Cairns Post’s most influential list. Don’t forget: the full list will be published in the next edition of Tropic Magazine, due to hit the streets of Cairns early next week. He might be a slightly controversial choice given he doesn’t live here and only visits a few times a year. But there’s no doubt about his influence over Cairns during 2017. GA Group billionaire Ghassan Aboud has been ranked number one on TropicNow’s Power 50 List. In a rare alignment between the two lists, Mr Aboud was also ranked in the top spot on the Cairns Post’s list. With his investment in TNQ now soaring above half a billion dollars, it’s easy to see why. Mayor Bob Manning also provided a moment of commonality between the two lists, featuring at number 2 on both lists. But that’s where the similarities between the sets of top 10s end. The Post has made some strange choices for its top 10 powerbrokers. Footy players Billy Slater and Johnathan Thurston are included in spots 6 and 10 respectively, while Federal MP Bob Katter is ranked in the lofty spot of position 6 – despite his lack of impact and results for the region in 2017. In contrast, we have placed Curtis Pitt in the third spot, and university leaders Sandra Harding and Scott Bowman in equal fourth position. All three delivered funding, projects and passion for the Cairns region during 2017. It’s hard to see how footy players and Mr Katter delivered more for our local community and economy than this trio throughout the year. We also placed business leaders Norris Carter (Cairns Airport) and Darren Halpin (Halpin Partners) much higher on our list than the Cairns Post, who put both of them outside the top 10. Mr Carter is a sharp, smart operator delivering growth at our most important economic asset, while Mr Halpin has been involved in everything from horse racing to golf courses, startups to politics and much in between. We placed Prime Group boss Andy Taylor at number 8 on our list, while the Post failed to include him at all in its top 50. Given his influence over hundreds of millions of dollars in contracts for the Crystalbrook Collection projects, Mr Taylor is the man everyone wanted to know and meet during 2017.